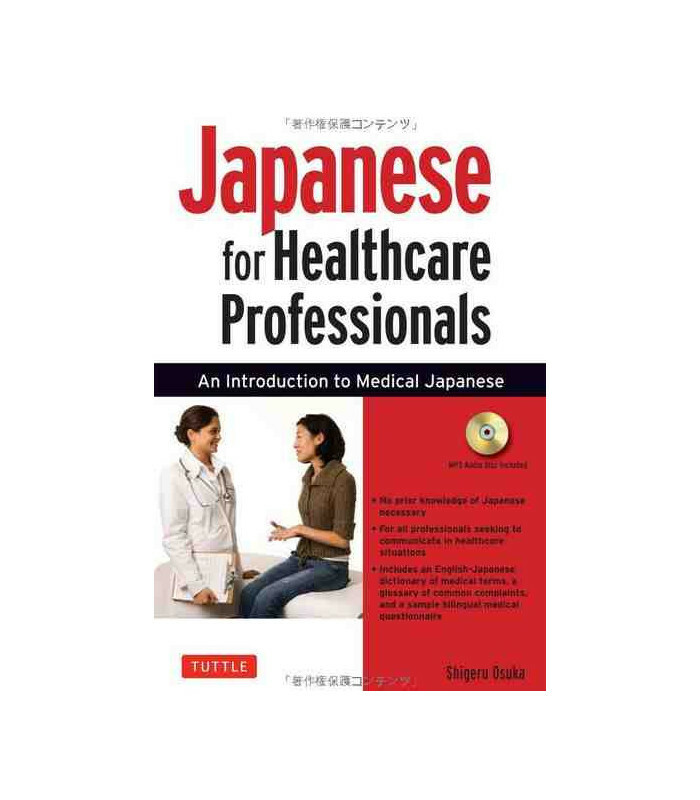 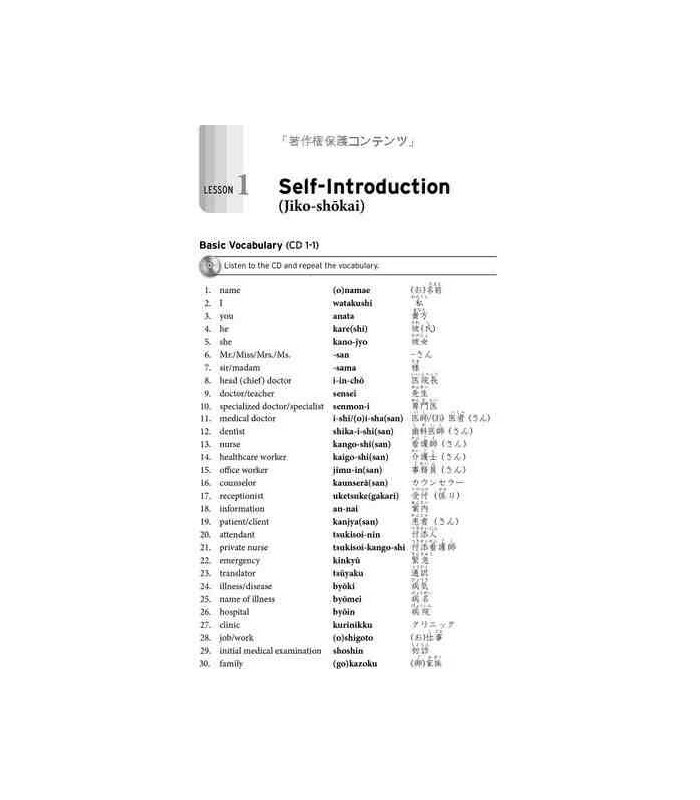 The only book of its kind in English, Japanese for Healthcare Professionals is a proficiency-based conversation textbook offering a complete language course that teaches Japanese grammar along with the vocabulary of medical care. 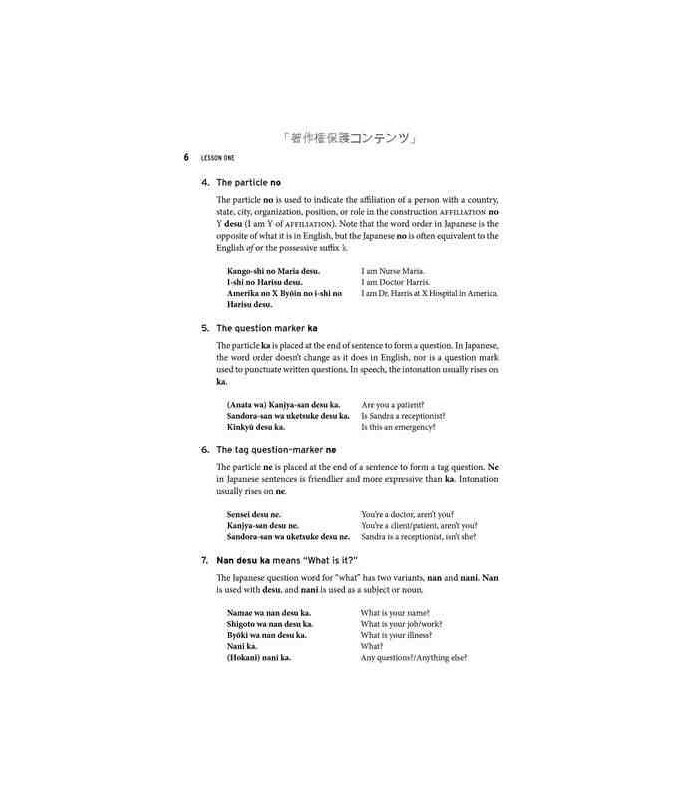 With nearly three million Japanese tourists visiting the United States last year, and another five hundred thousand expatriates residing in the US and other English-speaking countries, it is inevitable that many Japanese speakers find themselves in need of healthcare but unable to communicate. 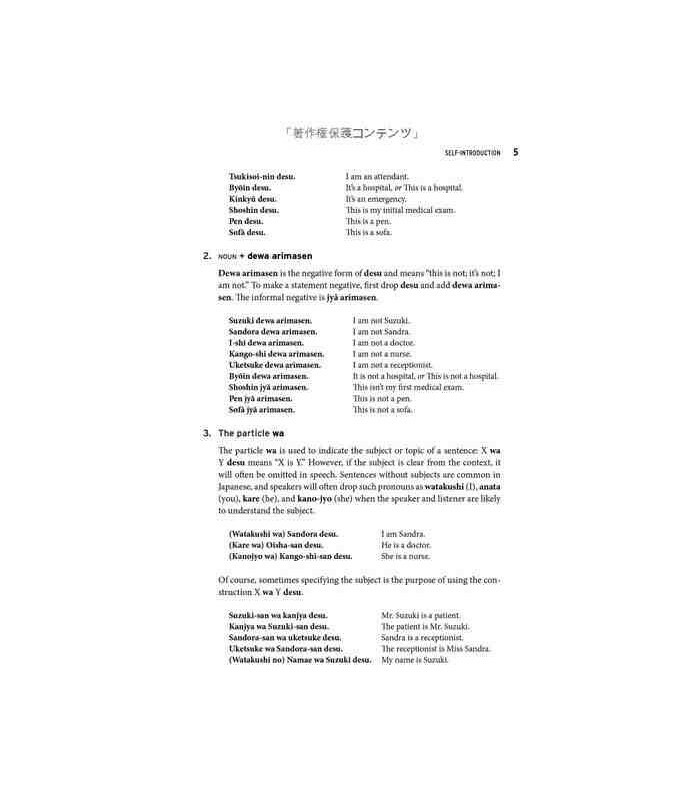 This groundbreaking book provides a language course—for classroom use or for self-study—that will enable medical professionals to prepare themselves to assist patients from Japan. 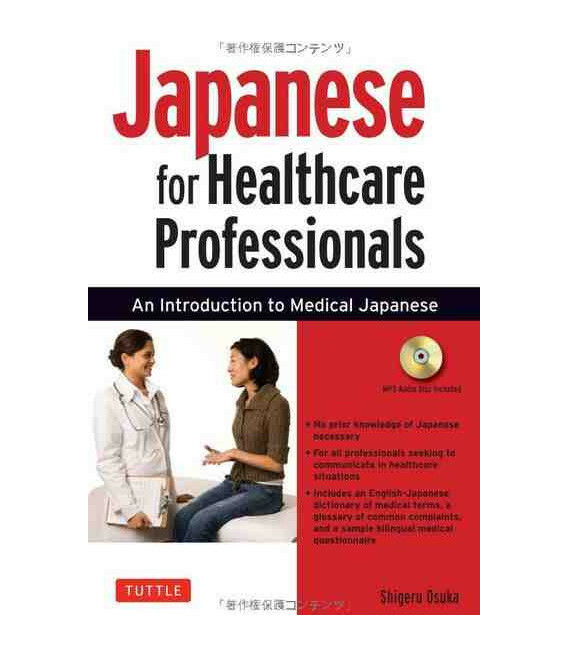 Covering every step of a patient's interaction with care providers, from appointments and admissions to the physical examination, symptoms and illnesses, diagnosis, treatment and follow-up, Japanese for Healthcare Professionals fills a vital niche for medical workers and Japanese speakers alike. 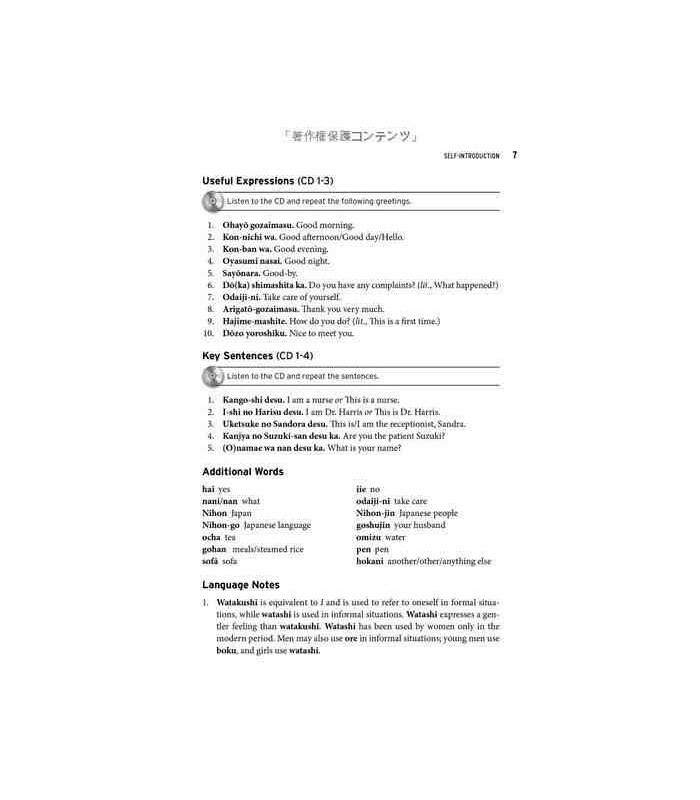 Shigeru Osuka, B.A., M.A., M.Ed., and Ed.D., is the director of the Japanese Program in the Department of Languages, Literatures and Cultures at Seton Hall University. 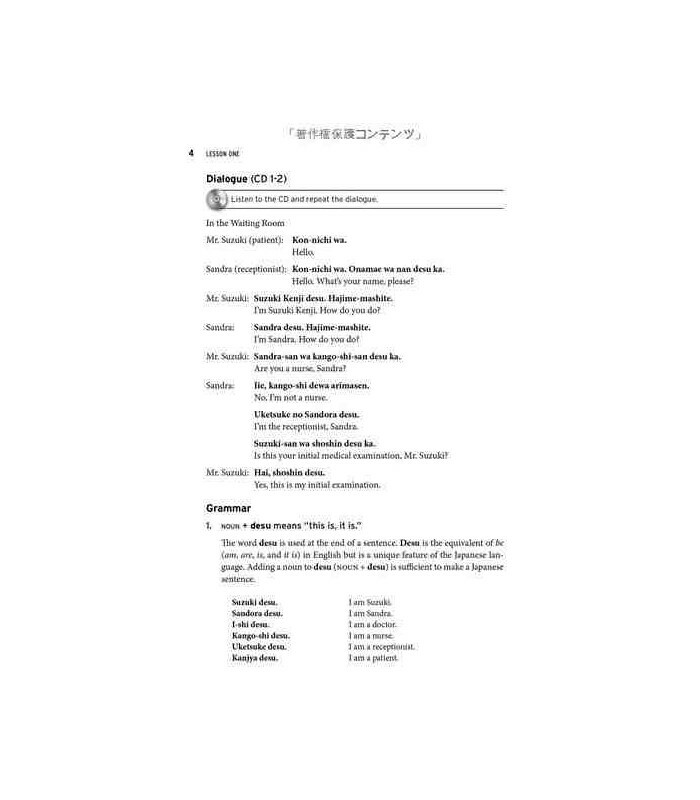 He has taught at the University of Hawaii, Western Washington University and the Mid-Pacific Institute in Hawaii and has been a visiting scholar at the University of Tokyo.